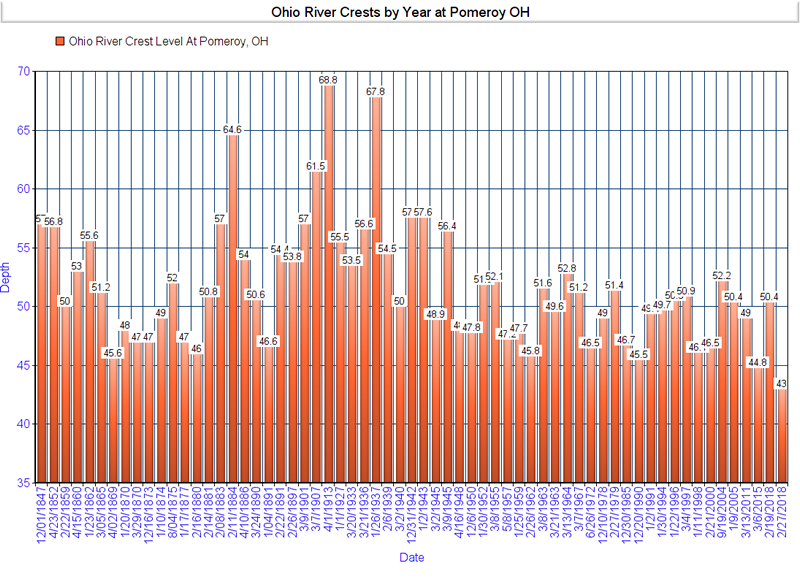 This graph will only be visable when the guage reading is in high water situations. Data on this page supplied from the NOAA website. 42 ft - Action stage. Low spot in the parking lot is flooded near the boat ramp. 46 ft - Pomeroy parking lots and the river ampitheater are flooded along river. Main street starts to flood. Some secondary roads are flooded due to backwater. 48 ft - Businesses along river in Pomeroy start to flood. Main street is flooded. 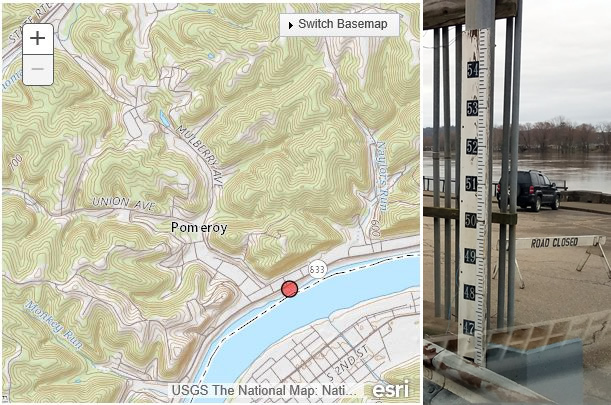 Homes near the Pomeroy-Mason bridge on the West Virginia side start to flood. 50 ft - Pomeroy businesses along main street are flooded. Park and boat ramp in Mason WV are flooded. 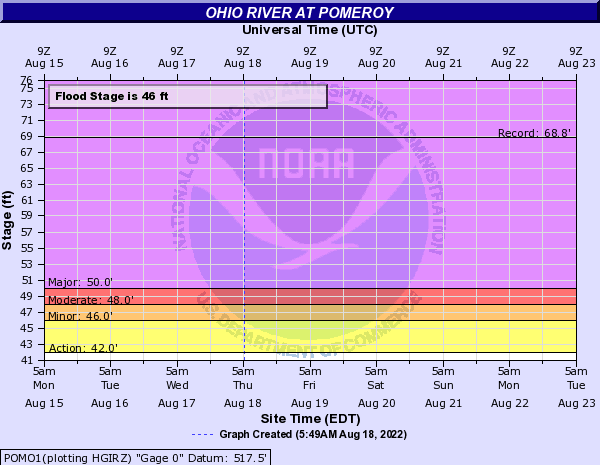 58 ft - Pomeroy Courthouse begins to flood. Court and Lynn Streets and 2nd Avenue are flooded. Most of Pomeroy is flooded.